The guard was circulating through the halls to announce that it was closing time, but it was only 4:45—fifteen minutes should have been left for stragglers to wander. 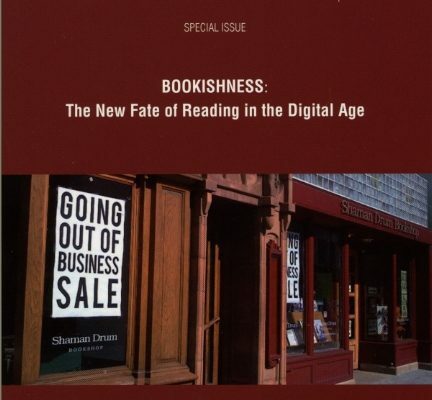 This special issue, Bookishness: The New Fate of Reading in the Digital Age, features articles on the future of reading, books, and the publishing industry in the 21st century. Among these is “UP 2.0: Some Theses on the Future of Academic Publishing,” an essay by Phil Pochoda, Directory of the University of Michigan Press. 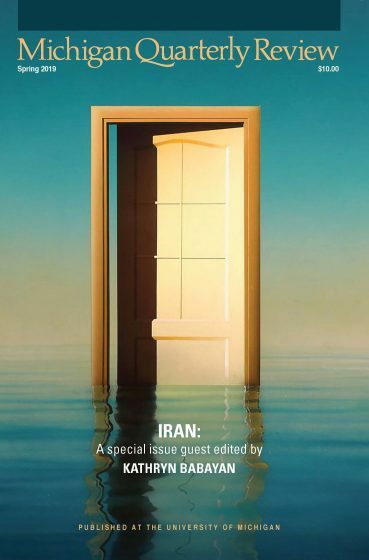 In addition, the issue contains more than 15 other new works, including poetry, fiction, and more. Kathryn Rhett on finding the personal writings left behind by dead authors, Nigel Gearing on class reunions, Chris Thornton on contemporary Egypt, and a conversation with Richard Ford.